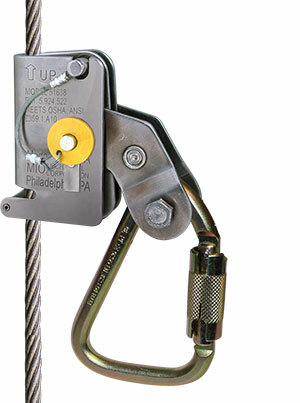 To be used on a vertical lifeline system with built in shock absorber. 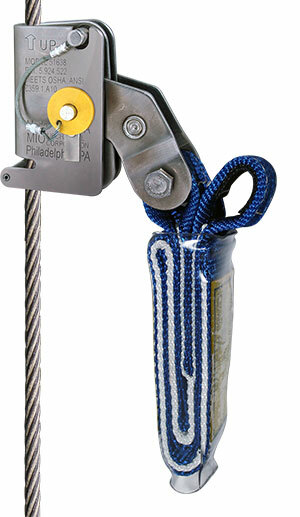 To be used on a vertical lifeline system without built in shock absorber. 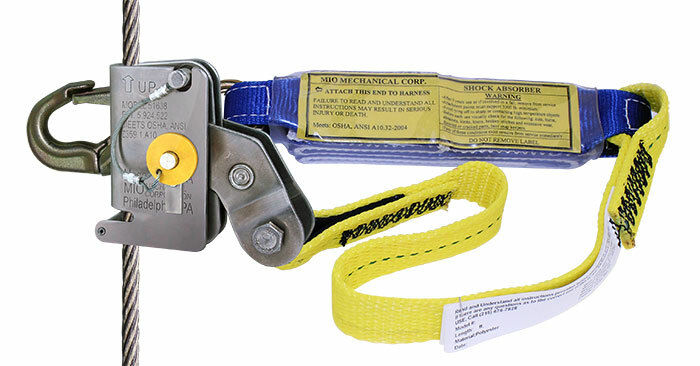 MIO patented cable grabs (Models: CG) are designed to provide fall protection for workers ascending or descending from a variety of vertical structures. Stainless steel construction allows unit to be durable, light weight and corrosion resistant. Cable design provides hands-free operation by automatically following the user and allowing maximum freedom of movement. Detachable design allows the user to easily attach or remove the device anywhere along the 5/16” or 3/8”dia. 7x19 galvanized or stainless steel cable. MIO cable grab must always be used with a shock absorber. For applications where a shock absorber is built in into the cable lifeline use model CG-51638 For applications where shock absorber is absent from the lifeline use model CG-51638-S. Meets OSHA & ANSI requirements. CG-51638 Used when shock absorber built into the system. CG-51638-S Cable Grab with 9” shock absorber. CG-51638-3LS Cable Grab with shock absorber and 3ft lanyard.